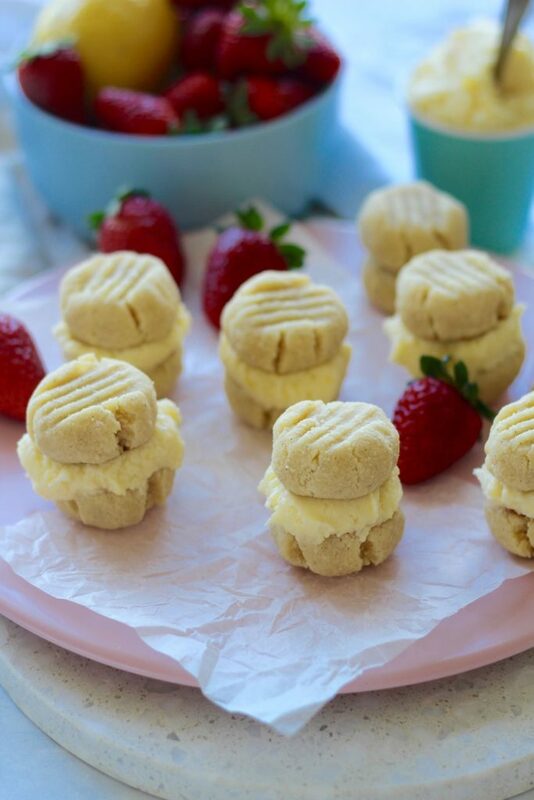 Refined sugar free and gluten free melting moments! Holey moley we may have just made the yummiest thing in the whole wide world. They totally do not taste healthy… but they ARE! These refined sugar free and gluten free melting moments are about to rock your world and we vote: grab your ingredients, whack on an apron and get your bake on yo! Emma reckons if you’re short on time, just make the icing and eat it with a spoon 😛 ok ok, that’s probably not the healthiest idea but seriously, the icing is EVERYTHING. We especially love when recipes can be simple but then they can go up a fancy level. Like if you just wanna make the shortbread biscuits you can… but if you wanna go fancy level 10, make the icing and squish 2 biscuits together. PLUS then you get to eat 2 biscuits so it’s a #winwin for everyone. 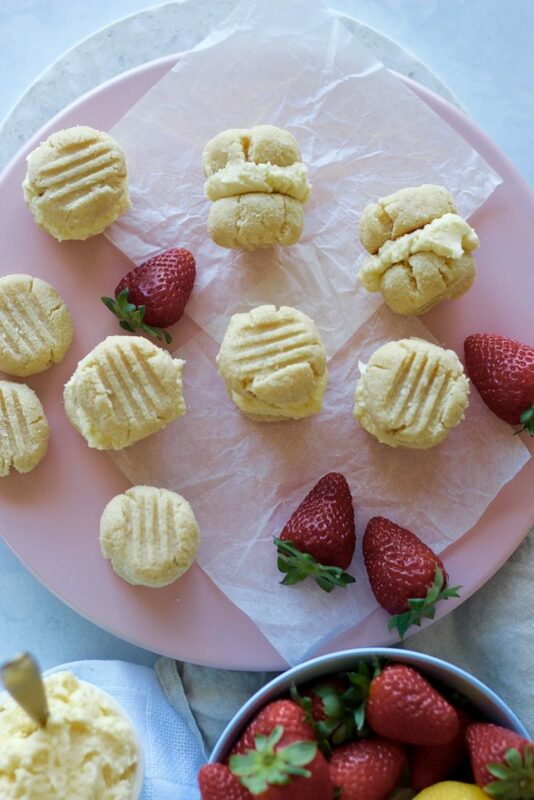 If you do make these amazing refined sugar free and gluten free melting moments (and yes they really do melt in your mouth) be sure to share a photo on social media, use #getmerry so we don’t miss it! P.s we added this recipe to the Get Merry app (we add ALL our recipes to the app plus an extra weekly recipe… yes every week the app gets an exclusive recipe AND the blog recipe!). You can also watch us make the recipe here! 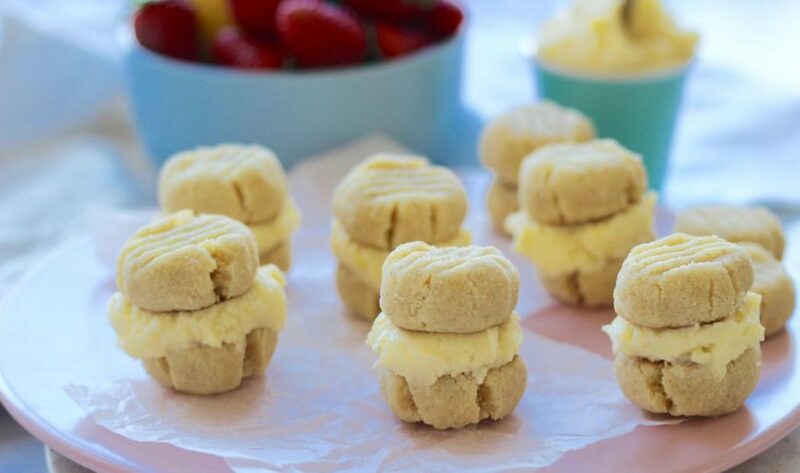 To make the melting moments, place a tablespoon of icing onto the bottom of a biscuit, and then place another top! Wa-LAH! ENJOY! If you don't want to make this icing, you could use our coconut butter frosting from our yummy blueberry muffins!